Refrigerant charge and supply units to operate and test refrigerant circuit components such as evaporators, expansion valves, condensers, compressors. 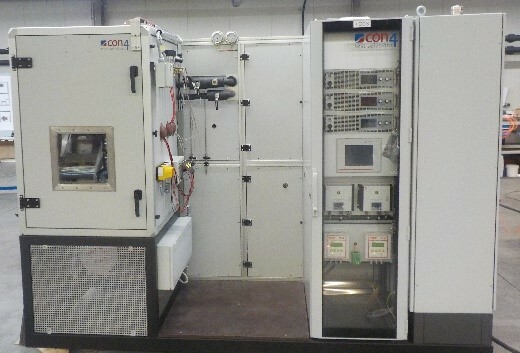 Used in combination with the conditioned air supply modules the test specimen can be operated under realistic load conditions with a high level of repeatability and control accuracy. Condensing pressure and temperature, suction pressure and temperature, pressure and temperature at the expansion valve, superheating, subcooling, OCR, refrigerant mass flow and output pressure at the evaporator are measured respectively controlled.